As we all know that iMessage os for iOS and its revolutionized how many iOS owners communicated with each other. As the matter of face, the ability to play games with each other through the messaging platform, rather than needing to jump into a separate app. Nowadays, iMessage is not just about sending messages quickly or exchanging emojis and stickers . you can simply play simple games on iMessage. The choice is surprisingly vast so we’ve narrowed things down to the pick of the bunch—each sure to entertain you throughout the day. Here are eight great games you can play through iMessage. GamePigeon is also a free game on iMessage which offers 22 games in a fairly small package. Those games include Mini Golf, Chess, 20 Questions, Poker, and Sea Battle (think Battleships). Not all the games quite hit the spot, but in terms of sheer wealth of options, it’s hard to criticize it. Mere looking at this game, it take a while to set up a game with a friend, meaning you’re more likely to spend time trying to figure out what to play than loading things up. 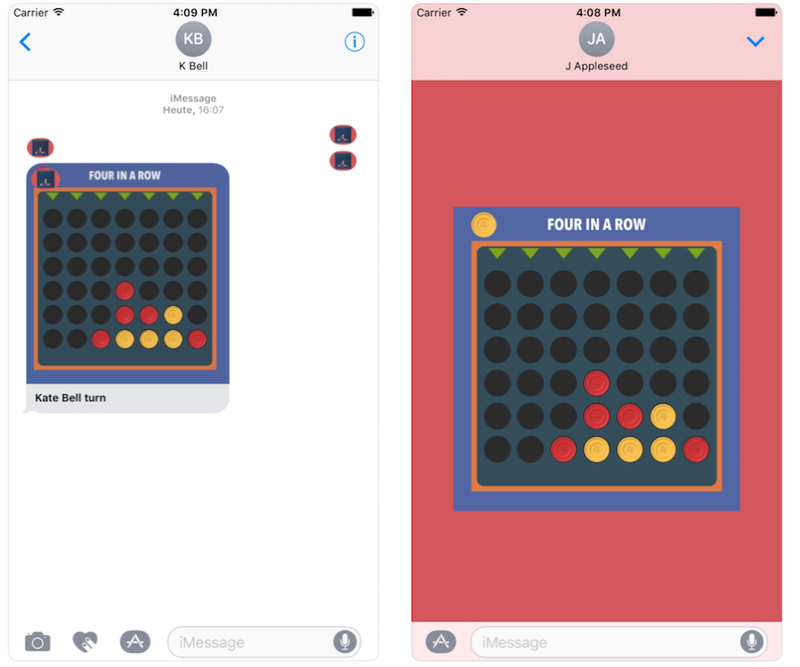 Four in a Row is absolutely free and is one of the iMessage adaptation of the classic game of Connect 4, and it’s pretty fun. This game is pretty easy with just simple idea. To play this game>>You drop red or yellow discs into a grid, aiming to be the first to get four in a row. There’s a decent amount of strategy here as a lot of success is down to your ability to block your opponent and outwit them. 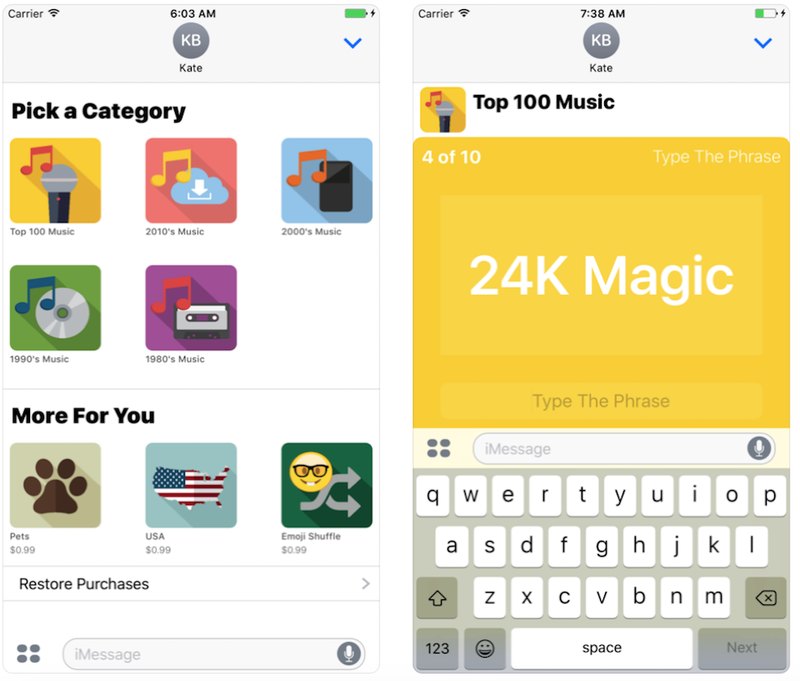 Simple to learn, and quick to play through, it suits the iMessage platform perfectly. Just don’t expect gripping visuals or anything like that. MojiQuest is one of my best game on iMessage because its pretty different to the other games listed, it’s far more ambitious. A social RPG, you explore the fantasy land of Moji with friends, battling monsters and solving puzzles. It’s not quite up there with ‘proper’ RPGs, but it’s still quite the accomplishment. This game just require simple process because it just deal with levelling up with plenty of equipment to unlock and quests to complete. It’s satisfying yet easy to dip in to. 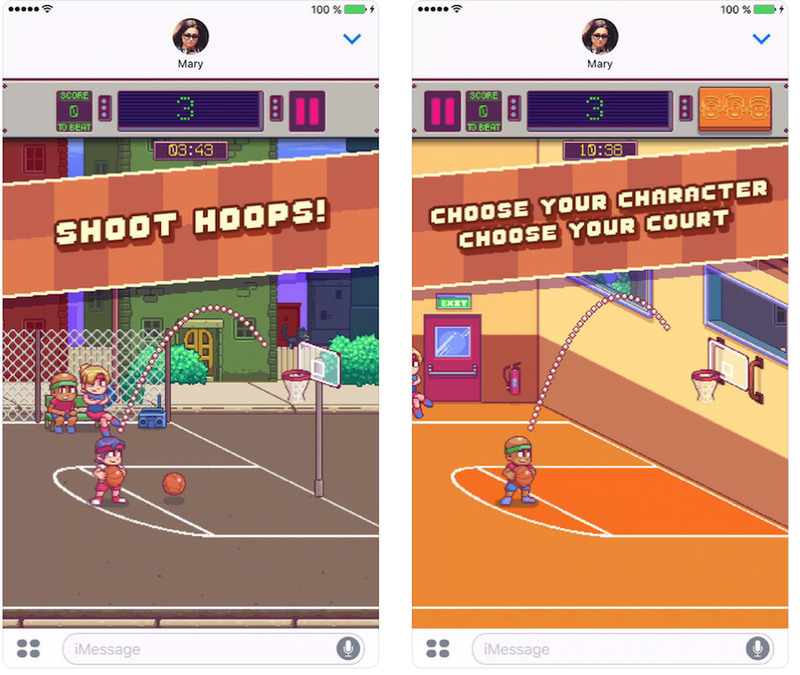 Cobi Hoops is a free iMessage game which has a fairly ambitious looking basketball game. The main focus of this game is you focusing on scoring as many baskets as possible within 30 seconds before seeing if your opponent can beat your score. You can choose to unlock extra characters, levels, and a bonus game mode for $2, or just focus on what’s already there. 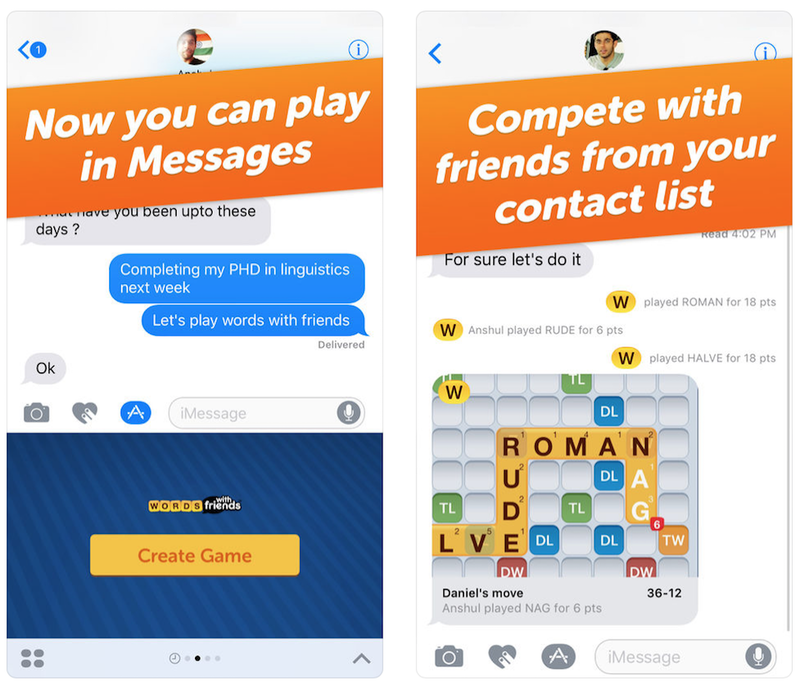 It deviates quite nicely from the usual bevy of word games and more strategic titles available for iMessage, and makes a pleasant change. Fast Thumbs is an iMessage game which is also absolutely, this game requires battle of fastest fingers. All you have to do is type as fast as possible, working on being speedier and more accurate than your friend. In each case, while playing this game, you’re only given 10 random phrases to type then you can choose from many categories, before typing quickly. If you want to check your scores, it will be assigned according to how fast you typed, how many mistakes you made, consistency and general accuracy. Some challenges involve emojis and punctuation so things can get tough. It’s an interesting way of showing off in the nerdiest of fashions. Bear in mind that you’ll need to pay $1 to unlock some of the extra categories which mean level buy level. This is also a free game where there’s a social innovation, there’s a version of Words with Friends . The game remains one of the better Scrabble-esque adaptations, enticing you to make higher scoring words than your friend as you place the tiles into a grid. The iMessage side of things allows you to make moves directly within your messages, saving you some valuable time, and providing the perfect impetus to ensure no one forgets to take their next move. This game is totally free to download as others. Seeing the name of this game, you may guess that it's sounds like a Golfing game which you would be right if you guess that. It only offers four locations to play on, but they’re fairly distinctive. Frost, Blaze, Retro, and Nebula offer a varied challenge along with a different theme to match the name. Checkmare is also an I message game but not free, atleast you will still have to make the payment of $1. 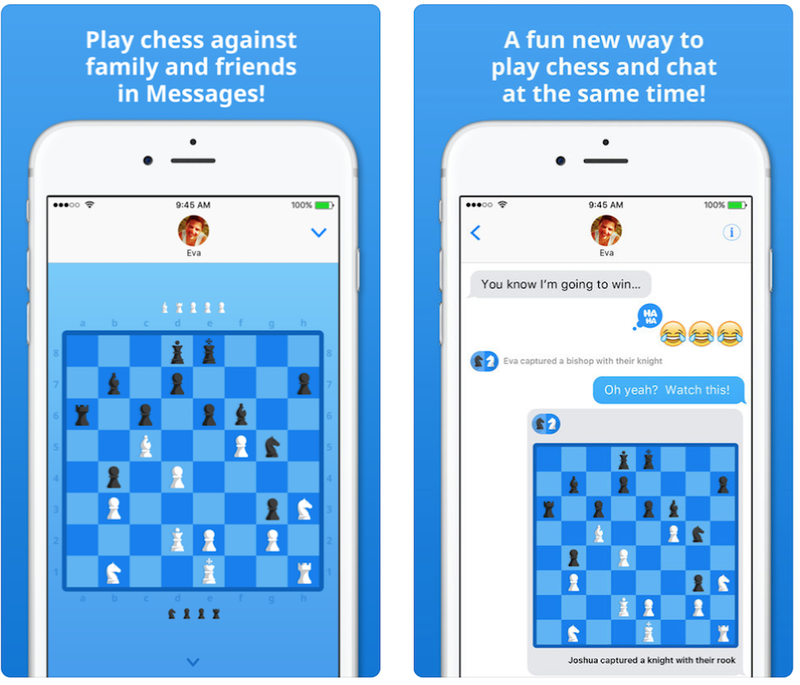 It offers a simple to play chess game within iMessage. The classic game of chess is always a delight for many, encouraging you to think a little more carefully about every move you make. With Checkmate!, you can play multiple matches with other people at the same time, as well as enjoy syncing across all your devices so you can always pick up where you left off. All this 8 games listed above are the best on iMessage so incase you need any, just go through the above content well and download your choice and I know you will love it.